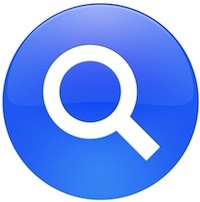 You can easily adjust the search priorities in Spotlight so that other items are listed first in the OS X Spotlight search results. For example, you could adjust the priorities so that files and documents are listed above apps, or so that images are shown above everything else. There are a ton of options to choose from, and if you have ever wished you could customize your Spotlight results you’ll be happy to discover it’s quite easy to do. Once your adjustments have been made, search with Spotlight again (typically by hitting Command+Spacebar) and look for an item that would be impacted by the priority changes. You’ll immediately see the difference. 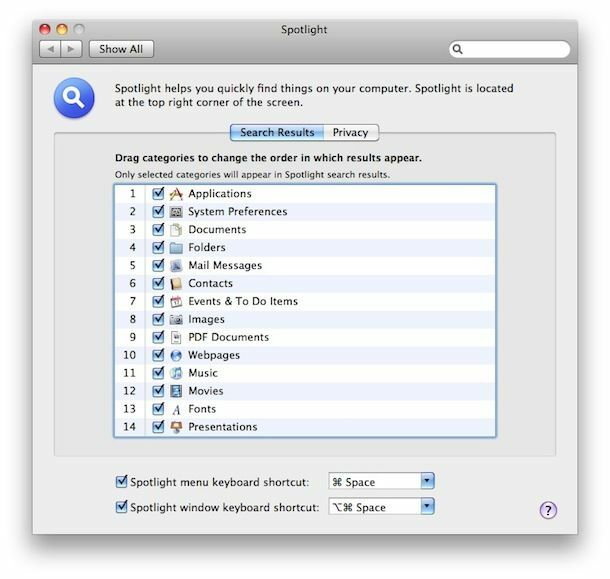 If you’re interested, you can also learn how to greatly improve Spotlight searches with search operators, you will be amazed at how precise you can get your Spotlight searches to be! Finally, you may know that Spotlight is also the search function that looks through the mobile side of things on the iPhone, iPad, and iPod touch too, and you can rearrange the Spotlight priority of iOS there as well. I wonder if this will also change the behavior in programs that use the spotlight indexing. Like Goole Quick search or Alfred. Hmmm. Must test. Just tried this and couldn’t move out of alphabetical order, only check or uncheck categories. Must be one of the “improvements” in later OS’s. Yeah, we no longer can reorder the results like this. It’s one of Apple’s “improvements” as Jim says above.